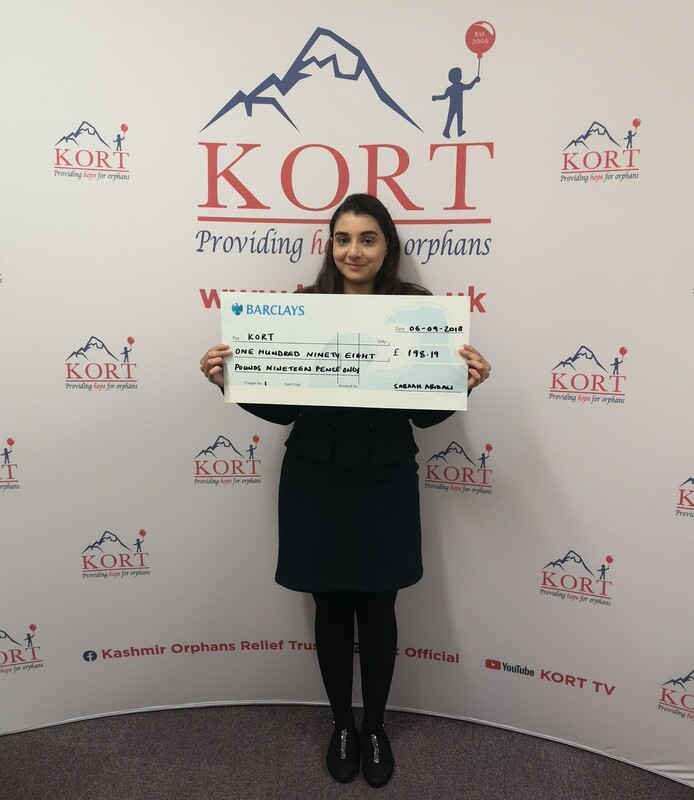 Sabaah raised much needed funds through a Charity Dress Down Day at her workplace where colleagues could come to work in casual wear rather than business wear by donating £1 for her chosen charity which was KORT. 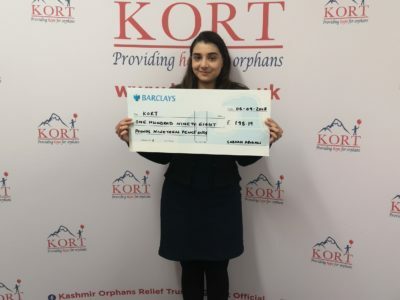 It is through the love and support of donors like Sabaah that KORT is able to make a life changing difference for the orphan children in our care. We pray that the Almighty accepts Sabaah’s efforts and blesses her in her health, wealth and Faith. 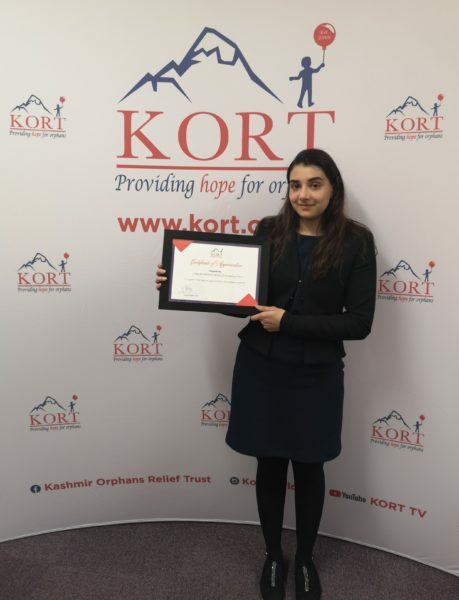 Sabaah is presented with a Certificate of Appreciation for her support.